If you are looking for a stone, please feel free to call our sales office at (888) MJGROSS (654-7677), or fax in your request (877-625-3691), and we will be happy to help you. You can also reach us by e-mail at sales@mjgross.com. 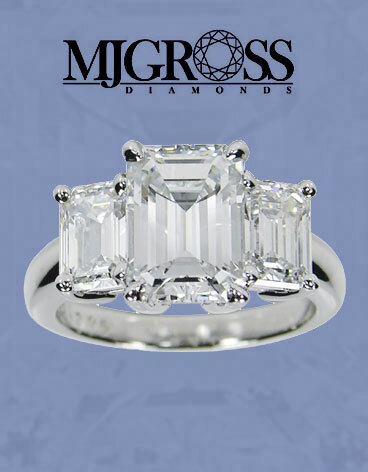 For daily updated information, and for a complete listing of our diamonds, please visit our website at www.mjgross.com (or contact us for an updated list). Thank you for giving us the opportunity to do business with you. Our goal is to provide you with outstanding quality and service while yielding significant savings.